Bikes are a great way to cut the traffic time in metro cities. They also help you in rural areas for commute. The main point for high sales of bikes is that it gives you a good mileage for a reasonable price and is very comfortable too. But buying a bike was a task in the past and we had to save a lot to get a bike home. However, it has become a cake walk nowadays. Thanks to the bike loans available, it is not at all difficult to buy a dream bike and get it home. 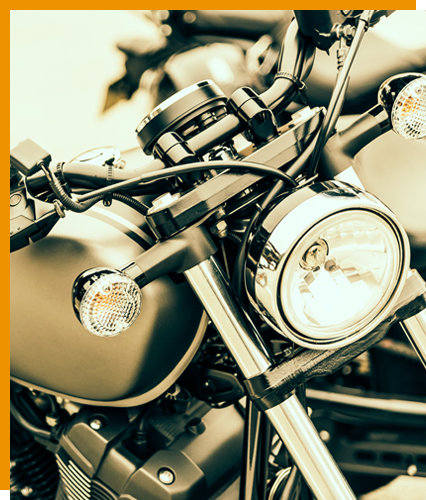 Before you jump into buying your bike, it is important to know all the aspects of a bike loan. It would help you to find the best loans available and make some savings as well. There are many components that make a bike loan and its EMI. Let us study them in detail so that you get all the knowledge about it. What is a Bike Loan? Bike loan is an advance payment lent by the bank or financial institution to the individual so that they can purchase the bike of their dreams. They do charge an interest for the loan amount so that they profit from such an arrangement. It gives you a financial security so that all your finances do not go in buying the bike and you can plan for it in the future. You can choose from the many offers available and take a bike loan. The two-wheeler industry is become popular in metro cities with the many types of bikes available. It lures the youth in buying bikes and making a style statement. Bikes are very common among college goers. You can get a bike with such ease that it is not at all heavy on the pocket. Bikes are of many types and are categorized as per the cc they are manufactured in. This would make the bike loans expensive or cheap. You can get great discounts and deals from banks and financial institutions to get your bike cost you less. Banks and financial institutions also ensure that you get 100% finance from them so that you need not pay anything extra at all. You can also look at how your EMI get calculated. Wealth County EMI calculator can be used for a rough estimate. This tool helps you check on your EMI before you apply for a loan. The EMI is calculated using three parameters i.e. loan amount, interest rate and tenure. Once you input all these details, your EMI would be generated so that you can plan your financials in advance. Many websites have such calculators made in a very interesting way with graphs and charts. You can look at the breakup of the principle and interest amount individually to know how much the bike would cost you. You should look at all the aspects of a bike loan including the bank charges or services charges including the fees and penalties. All this makes your bike loan expensive and can come to you as a surprise if you have not been informed about it. Usually these charges are recovered in between the EMIs or later when the loan tenure is about to get over. You may also be told about such charges if you plan to pre-close the bike loan. You can always pre-close your bike loan if you have the cash in advance of the loan tenure. It is easy to do so and make your bike loan cheaper. The more number of years you repay the EMI the more is your bike loan costly and vice versa. There may be hidden charges in such a bike loan and you would not come to know about them if you have half knowledge about it. Banks also charge the EMI in a ratio that is broken down into principle and interest amount. This is equally divided into the number of installments so that you do not get the burden of anyone parameter altogether. Banks and financial institutions ensure that they get their interest component paid before the principle amount. This would help them in gaining more in case if the individual plans to pre-close the loan. You can look at all such aspects when you speak to the representative and gain knowledge about it. Bike loans have many sorts of benefits which are extended to the individuals applying for it. Let us look at them in detail so that you can also make use of it when you apply for one. The tenures of repayment are different for all. It depends on the bank and financial institution to give such benefits and you should have a good relationship with them. If you have a good rapport, then there are many discounts also available. When you apply for a bike loan, your chances of improving the credit ratings is high. This is because, you would make the payment on time and get more benefits on such an arrangement. It would also help you to build a credit history to apply for bigger loans in the future. You should choose the interest rate you wish to apply on your bike loan. This can be negotiated if you have the right skills. You should not feel shy to ask for discounts at all as this would reduce your cost of the bike loan. You can opt for a fixed or a floating interest rate. However, bike loans usually see a fixed interest rate when applied for. You can get a healthy comparison done for your bike loan even before you apply for it. This comparison helps you to know which bank or financial institution is charging you a higher interest rate. It is very helpful for all to get an overview for each parameter. Documentation is an important part in a bike loan. Your documentation should be strong so that loan application is easy. Your loan should get approved without any hassles and this is only possible when you have a strong documentation. The general documentation should be a photo id proof along with the address proof. Also, for bikes with a high value, the loan amount would increase making the documentation compulsory for income proofs and income tax returns to ensure that the loan can be repaid well in time. You need no collateral in a bike loan as this is the product itself. You should know that the bike would be taken away by the bank and financial institution if there is no payment or late payment of the EMI on the mentioned dates. They would then give a revival plan to active the loan and get the payments on time. You should be on time to get the bike back. If all this does not work, then the banks and financial institutions would sell the bike and recover the cost they have borne for your vehicle. However, this is the last resort they get into as they would benefit from your application to get penalty and fees along with many types of charges on nonpayment or late payment of EMI. Therefore, they would give you all sorts of options until you finally give away into it and confirm that you are unable to repay the loan. In such a case, your credit rating would also be affected. This credit rating is very strong when it comes to loan approvals. Banks and financial institutions would check your CIBIL score even before they check your documentation. This is a direct hit on your loan application if the credit score is not p to mark. Therefore, you should pay your dues on time and make sure your credit score is appropriate and can be dealt with in any loan application. Usually, bike loans are not checked in detail as the amount is not huge and individuals pay the amount with ease. Once your CIBIL score is good to go, the banks and financial institutions ensure that your loan gets approved easily. Applying for a bike loan is also a good way to give your CIBIL ratings a boost. This would help you to make a good credit score and history for any future loans if you wish to avail. You can also keep a check on your bike loan using the banking systems and the login details provided to you. This should be done as soon as your loan is approved, and the disbursement has happened. It would help you to know if all the details have been entered correctly as agreed. If there is any change, then you can contact the bank or financial institution to rectify it so that when your loan gets closed, there is not much to do about it. As we discussed previously, banks and financial institutions have the right to take away your bike if the loan is not repaid on time. They are legally authorized to do so, and the hypothecation is also under their name. This does not mean that the bike is not under the loan applier’s name. It is under their name, but hypothecation is under the lender’s name. You can apply for a loan from multiple banks and financial institutions and check which one gives you a better loan facility. You can do so with as many options you have and there is no need to take approval from all. When you get a loan disbursed from a bank or financial institution and there is a new offer rolled out from a different institution or organization, you may shift your bike loan with ease. But you need to ensure that you calculate the change. If there is hardly any difference, then the shift would not be a good move. However, if there is a huge gap, then the shift can be a pleasant one and can get some extra savings into your pocket. You can apply for a bike loan using the internet mode or by visiting the branch to personally apply for it. The choice is all yours and the preferences can be used to apply for it. Many bike dealers and manufacturers also have many great discounts and deals which are lucrative and cannot be resistible to the consumer. In such cases, you can go ahead and apply for a loan from a third party as well. As far as the bike loan is legitimate and easy going, the source does not matter. So, make the most of all such arrangements and apply for a bike loan as soon as possible. There are many bike loan offers being rolled out by banks and financial institutions which offer a pre-approved loan. These offers are the best for you, as you need not do much of paper work and the bike loan is approved and the disbursement also happens within the same day. This would mean that the keys to your dream bike would be in your hands within no time and that too with easy monthly installments. Your favorite bike which is internationally available and has a high value as compared to the local manufacturers, can also be made available through such finance schemes. In fact, some banks and financial institutions also provide a loan for it to be shipped from a different country as it is a part of procuring the bike on the land address. All these features, benefits and offers help you to think and dream for your bike. It is not a difficult task to buy a bike these days and you should look for your comfort in travel. This is a major time we all spend during the day to reach to our offices and back home. It is better to travel safe and cut through the thick traffic jams as bikes are easy moving in such cases.